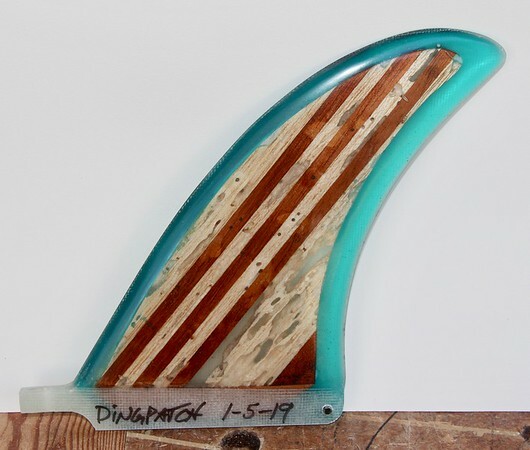 Discussion in 'Longboard Surf Buy/Sell/Trade' started by dingpatch, Jan 5, 2019. 2. 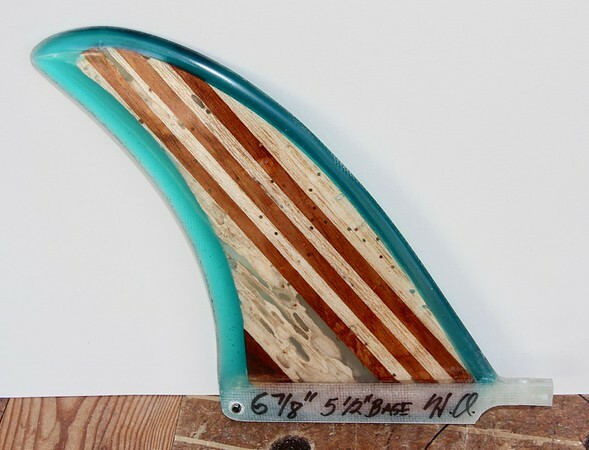 >> SOLD << 6 7/8 inch with 5 1/2 inch base. Bug-eaten Peruvian Balsa and Cedar. Clear blue-green bead is filled with chopped gun roving for strength. 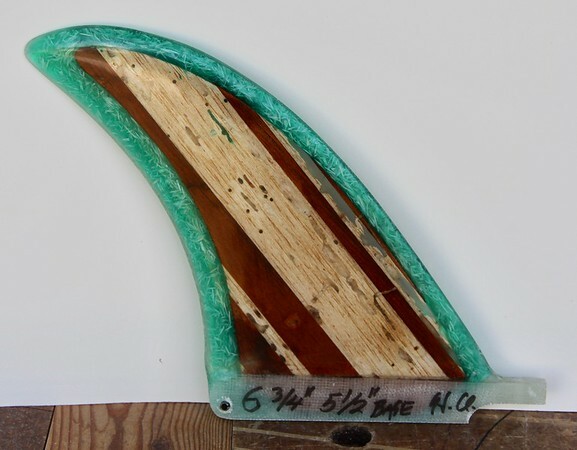 Glassed with 2 layers of 6 ounce E glass. $50 plus mailing ($7.50 East coast, $8.50 West coast). JMJackFish, SDBoardHoarder, aussie-surfer and 1 other person like this. 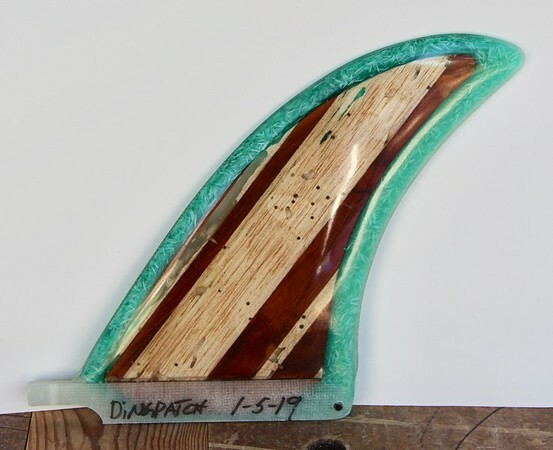 @BrazilButtNut here's your bonzer fin! Howard - the fin showed up today and is a stunner. WoW! Can't wait to put it my 7' and get it wet! It’s gonna be you number one fin for long time. I only have one glue up left! Ding, looks like you've got some resale staying power!